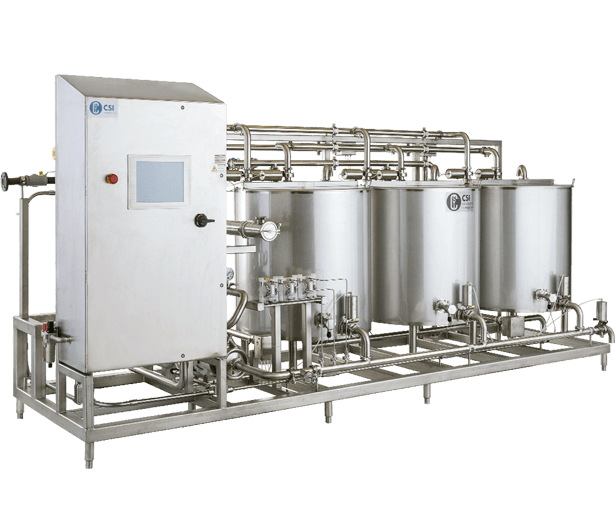 CIP 2.0 is a controls system designed for the modern production plant. The data tracking features, lock/unlock configuration screens, and maintenance manuals—which are all stored digitally on the skid—are especially beneficial for food, dairy, and beverage plants. The controls provide the flexibility and functionality needed to maintain standards set forth in the Food Safety Modernization Act (FSMA). CIP 2.0 is also CFR21 and S88 compliant. A 15-inch Allen-Bradley Industrial Environment touchscreen gives access to a number of pages where plant personnel can configure, run, and monitor washes in real time, view trend charts, see alarms and alarm history, and view equipment manuals. Valve stroke counts and pump run times can be accessed from the main screen to assist in preventative maintenance. The information is presented intuitively, making operation safe and effective. CIP 2.0 has a uniform graphical interface for all its systems. The consistent interface increases familiarity with the controls, consequentially lowering training costs. The operation and appearance of the controls remain the same for multiple CIP 2.0 skids, either within a plant or in different plants. The above skid is an example of a skid with the single seat valves option. 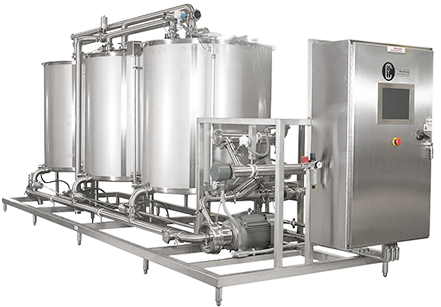 CSI offers complete CIP 2.0 skids that are fabricated in-house. 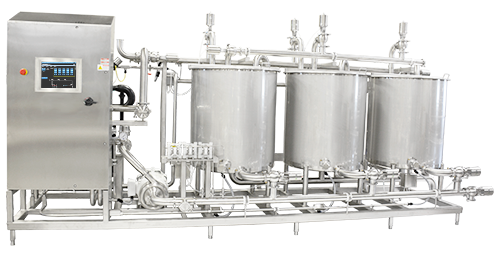 These skids can be built with a variety of configuration options including tank size, the number of tanks, heating type, valve type, chemical dosing, and dual supply. The above skid is an example of a skid with the electric heat exchanger option. Literature for CIP 2.0 have been saved to your dashboard! Literature for CIP 2.0 are already in your dashboard.